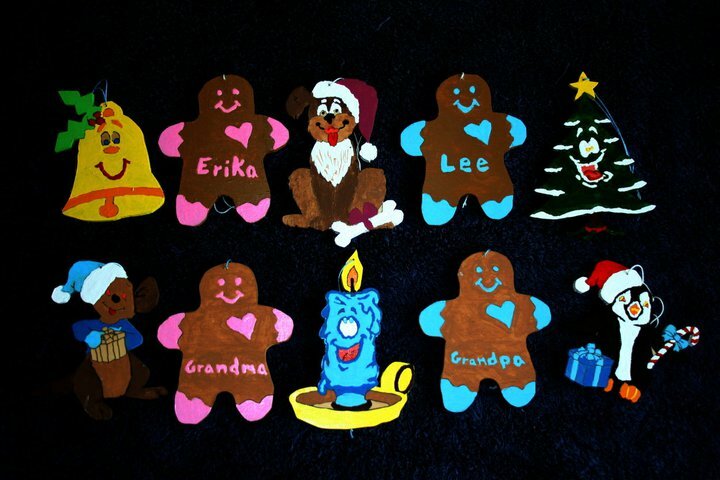 Get your handcrafted ornaments today. All ornaments are wooden. There are a variety of ornaments for various occasions. If you don't see one for you, please feel free to contact me about a custom design. Authors, this is the ornament for you! Get a custom made ornament from your cover or from an illustration in your book. This is a great idea for swag, gifts, promotions, and much more. Also, if you have an author in your life and have permission to use the image, you can purchase one of these for your favorite author as well. Ornaments are not just for Christmas. 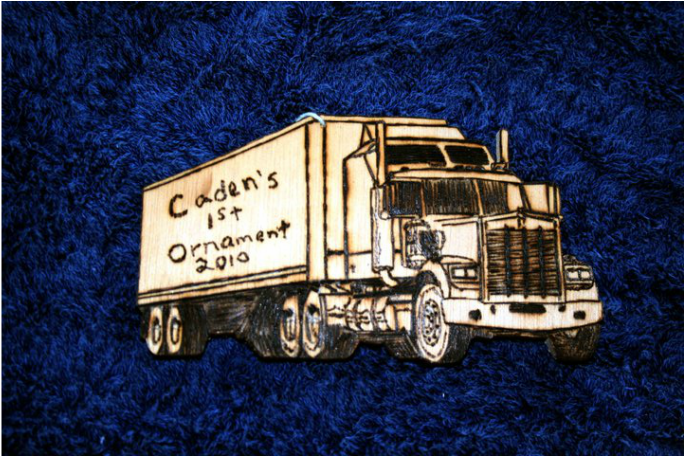 This wood burned ornament of a tractor trailer truck was made as a baby shower gift for a boy born into a trucking family. 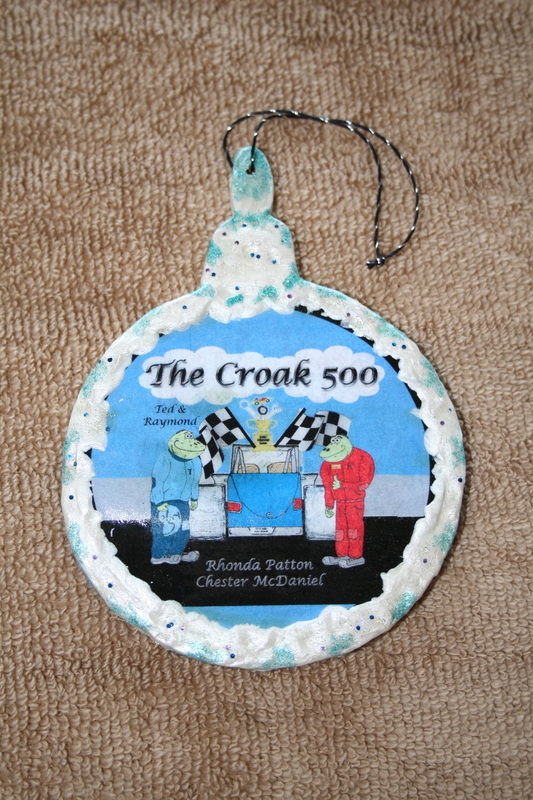 Custom baby ornaments make great baby shower gifts or baby's first Christmas memorabilia. Handcrafted ornaments are also great gifts for the people on your list for which it is difficult to find an appreciated gift. These were made as family Christmas gifts one year. Notice that they can be personalized with names.